Blog categories matter, so choose them wisely. A category list is NOT a dictionary, nor is it meant to be a comprehensive index of topics covered. Think of it more in terms of a book's table of contents. Categories are broad, yet specific topics of great interest to your blog's readers. 1,323 categories on his blog! If you want people to be able to find exactly what they're looking for, put a search button on your blog. Don't make them wade through 1,323, or 594, or 147, or even 38 categories! A small list of categories, a search button, a few well-chosen tags, and links to related posts are all the search capability your readers need. You want to entice and ignite their curiosity, not overwhelm them with too much information. To help you create (or revise) your category list, here are seven questions to consider. What are the top Keyword phrases for your blog's topic? Be SEO savvy. Keywords not only belong in your blog titles and posts, they belong in your category titles, as well. Check out your topic's keywords with Google's free keyword search tool. For example the keyword phrase "book promotion" is searched for on Google approximately 9,900 times a month, while the keyword phrase "book marketing" is searched for approximately 49,500 times a month. Many use these terms interchangeably, yet "book marketing" gets five times the searches that "book promotion" does. If you keep getting asked the same questions over and over, again, it's helpful to have an FAQ or Frequently Asked Questions blog category. You can also take the top two or three questions you get asked the most, and turn them into their own categories. What are your readers' main interests? What are the main interests your readers have? 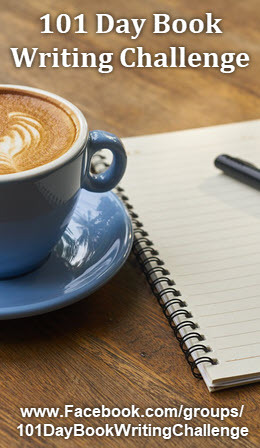 Someone who's thinking about writing a book basically wants to know four things: how to write a book, how to get it published, how to build an audience (their author's platform), and how to promote their book. You could also add a sprinkling of appropriate subcategories, such as self-publishing and writing a book proposal. The truth is, of course, that there are a million and one details involved in doing those four things, but the details get spelled out in the blog posts, not in the category list. What are your readers' main problems or pain points? What do your readers have the most problems with, or fear about, regarding your topic? Some of the biggest problems I know writers have are procrastination, writer's block, and dealing with a negative response to their writing whether in the form of a critique, rejection letter, or review. If a problem is a big enough pain point, a majority of your readers will deal with it at some point, or it rates high in your keyword research, the problem might deserve its own category, such as "writer's block" or "overcoming writer's block." But you can also lump the problems together and have a general category title such as "overcoming writing blocks," "problems of the pen," or "how to get unstuck." What are your readers perceived needs? There's what you know your readers need, and what they believe they need. These can be wildly different things. It's not that you're right and they're wrong, or vice-versa, it's simply looking at the goal from two different perspectives. It's your job to bridge the gap between the two, and the way you begin to do that is by creating category titles based on your reader's perception of their wants and needs. 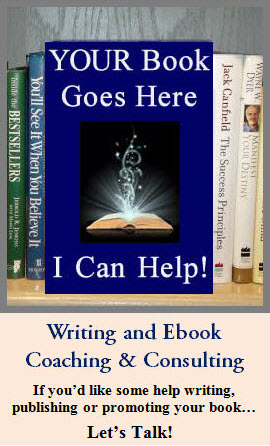 For instance (continuing with the book writing example), instead of having a category called "the craft of writing" it might serve you better to have a category called, "writing a bestseller," which includes articles covering the basics of writing, as well as genre advice and advanced techniques. What books, products, or services do you want to promote? Yes, blogging is part of your promotion plan. It comes under the umbrella of "content marketing." Now that doesn't mean you want your blog posts, or blog categories, to sell, sell, sell. On the contrary, content marketing is about sharing useful and relevant content that interests, engages, and helps your readers. It's part of getting known, and building your platform. However, if you have a book or product whose title, or subject, would be appropriate for your blog, by all means use it as a category title. In most cases, the subject would be preferable to the title. This category would NOT be for direct selling, but for sharing content relevant to the subject of your book or product, as well as an *occasional* post that directly references the book by sharing why you wrote it, what your experience of the creative process was like, what you learned from writing it, and, yes, sharing any appearances, calls, or special offers that may be appropriate. What is unique about you, or your perspective? It's natural to want to copy success, but one of the biggest factors in most people's success, especially in creativity and coaching based careers, is what they bring that's unique. I've been telling my coaching clients for years: offer something new, by being absolutely you! In writing it's called voice. It's that thing, sometimes indefinable, that makes your writing unique. What that thing is... is YOU! So bring you to your blog. Your personality and perspective. Your wisdom and writing style. When you do that, you could be offering the same basic information that many people are sharing, but it will shine because it's imbued with the essence of you. So if there's a phrase or perspective that's very "you," turn it into a blog category. Now that you've got a powerful list of potential blog categories, you need to winnow them down to the most compelling few. Remember, your blog categories are more like your book's table of contents, than its index. Less is more. Be sure that your blog categories are easy to understand, and will resonate with your target market--your readers. The biggest mistake I see in people's blog category titles is being overly clever, or getting too personal. Even if you've written about something several times, people who are new to your blog won't know what your category title means, and returning readers may not remember. And yet... it's important to be true to you. I'll be adding some categories that are specific to me over the coming months as I dive more deeply into "Content Creation Strategies" and "S.H.I.N.E. Online." The next time you're on your favorite blogs, take a moment to study their category list. Are they long or short? Clear or confusing? Personal or topic driven? Or has the blogger chosen to let go of categories altogether, and let a "popular posts" widget do all the work? Have fun creating, or revising, your blog category lists!